RIDGID 47278 1/4 HP Dewatering Auto Pump. 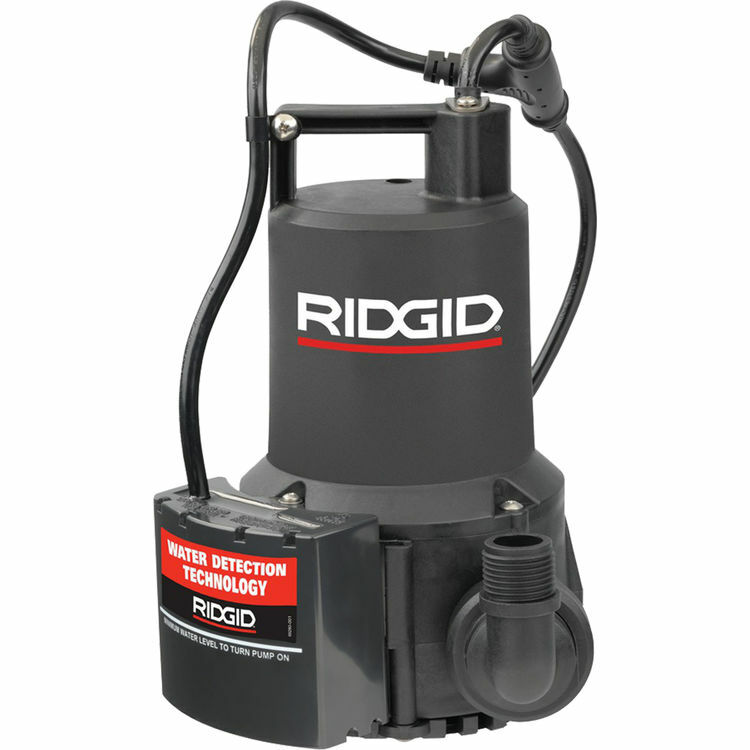 This Pump is loaded with high-quality features that include a water detection technology that turns the pump on and off automatically with the presence of water, its energy efficient, and comes with a high flow 1?4 HP oil-free motor The RIDGID 47278 1/4 HP Dewatering Auto Pump is corrosion-resistant, and is sealed for submersible applications. For easy connection use a garden hose adapter. Also included is a bottom suction design, filter, and removes water down to 3?8? of surface. This Pump is fully covered under RIDGID's 3 year warranty, giving you the peace of mind that comes with the quality of all RIDGID products.